Andrea Dovizioso secured yet another podium finish this season, with a hard fought third place during the Australian Grand Prix. Such were the scenes of celebration beneath the podium and back in the team garage, a casual observer could be forgiven for thinking they’d won the championship. The celebratory scenes from Sunday starkly contrast with last year’s corresponding Grand Prix, which was a complete disaster for Ducati. Slow times during the practice and qualifying sessions resulted in the humiliation of both factory riders, Dovizioso and Jorge Lorenzo, having to start from the fourth and sixth rows of the grid respectively. The race fared even worse as between them they could only manage a frankly woeful three points. It effectively killed all realistic possibility that the Italian rider could become world champion that season. Dovizioso demonstrated serious front running pace all throughout the weekend, rarely being found outside the top 5 of the timesheets. 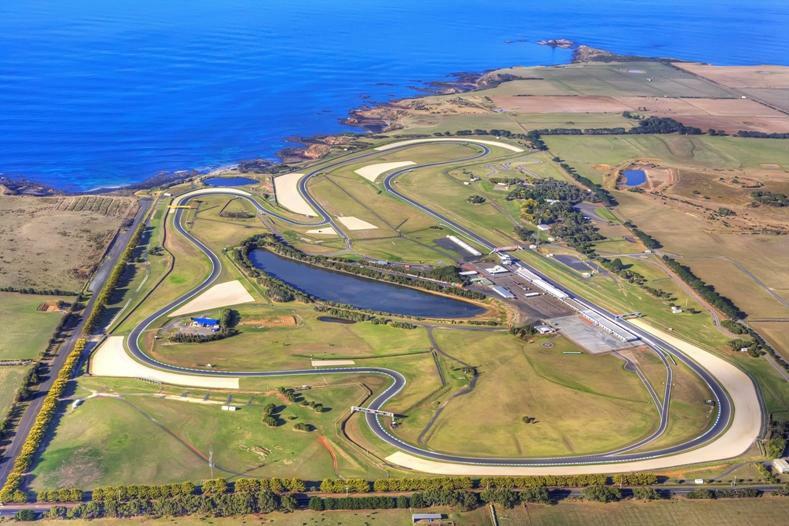 A remarkable feat in itself as, traditionally, the Phillip Island circuit is one of the worst for Ducati. Without any long straight to blast away from the pack, and a plethora of fast sweeping corners (so long the nadir of all Desmosedici machines), the Italian team generally grit their teeth and pray for the round to end quickly. To negate the severe loss of lap time due to the above reasons, riding style – and commitment – becomes of paramount importance. It cannot be underestimated how brave Dovizioso is under braking, regularly being given the title of ‘Last of the Late Brakers’. Although there is no official measurement as to the stopping points of each rider, from the TV images the Ducati man does visibly brake later than the rest of his rivals. In addition to this, he possesses pinpoint accuracy with both his corner entry and exit lines. 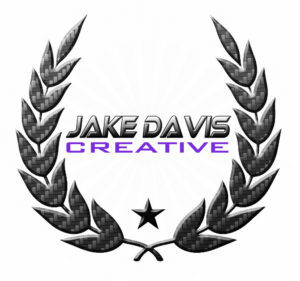 All of which results in an extremely competitive performance regardless of the circuit. 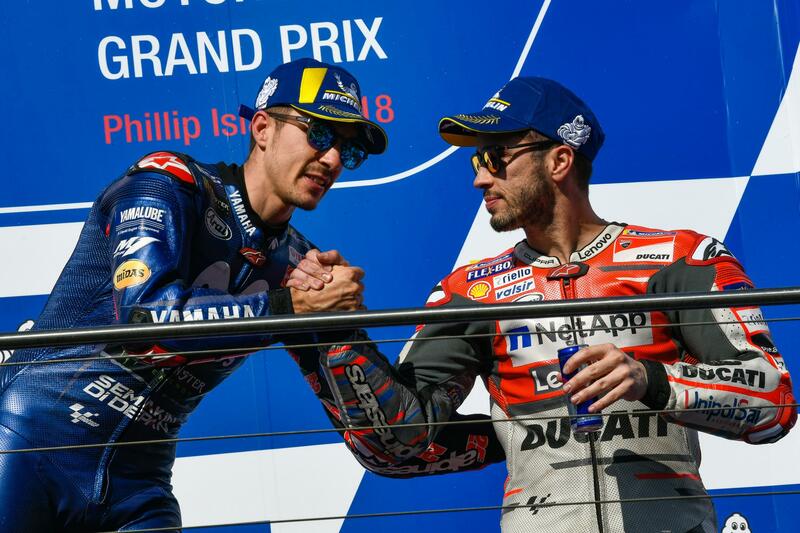 Speaking after the race, Dovi was beaming in the winners’ enclosure: “Phillip Island was a fundamental test to understand our level of competitiveness and now we know we have made a good step forward over last year.” Typically understated as always. Ducati have made an enormous step with the development of their bike. Andrea Dovizioso battles with Andrea Iannone (Team Suzuki Ecstar) for podium honours. Such a thing was not even remotely possible last year. Across the garage, there were equally joyous scenes. Standing in for the injured Jorge Lorenzo, 33-year old Alvaro Bautista enjoyed a brilliant first weekend on the Desmosedici GP18. Having not ridden this year’s machine at all before the Friday practice sessions, the Spaniard went to considerable length in the build up to the weekend, stating that Ducati “had no real targets to aim for”. Perhaps predictably as a consequence, he took a few tumbles during the early stages of the weekend as he learnt where the performance limits of the factory bike were. Despite this, Bautista produced a faultless race day performance, looking completely at one with the factory bike – and racing it as if he had been for a full season. 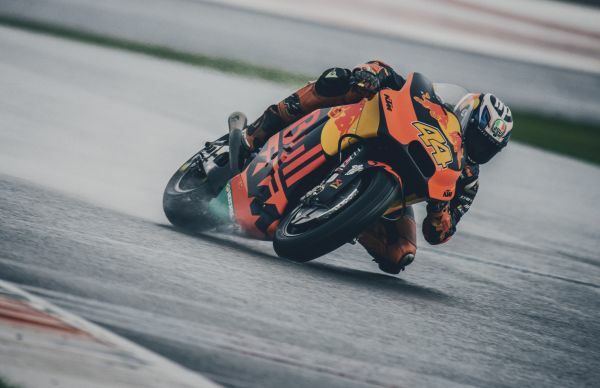 His riding style – comparable to that of Casey Stoner – suits the Desmosedici, and the Spaniard relishes the physicality required to haul and wrestle the bike through the faster corners. Having started from P11 on the grid, Bautista charged through the pack, dicing for a place on the podium alongside his teammate for almost the entirety of the race before falling back to consolidate fourth place. Speaking after the race, Bautista explained the reason for dropping behind his teammate: “In the last few laps I made a few small mistakes and lost contact with Dovizioso and Iannone, but in any case I’m very happy with my overall result, especially for the team and for Ducati, whom I would like to thank once again for the trust they have shown in me.” Any disappointment for not making the podium quickly evaporated, having achieved a lifetime ambition to race for the factory team. Having taken some time on Friday to adjust to the GP18 performance limits, Alvaro Bautista produced a stunning ride on race day. 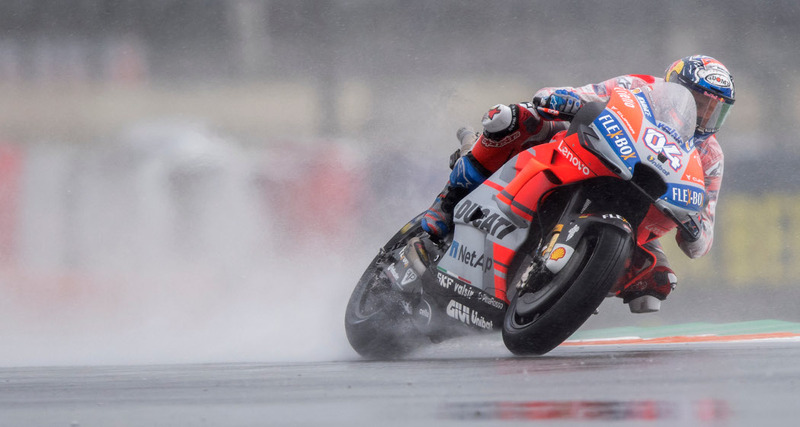 Despite not taking the race victory, Dovizioso has nevertheless demonstrated to the full just how far Ducati have developed the Desmosedici this season. It is still a rocket down a long straight, but crucially they have now made a bike that is stable enough at most circuits to enable the riders to attack the faster corners with confidence. As for Bautista, he has almost certainly secured the factory ride now for as long as Lorenzo remains out injured. The result for the Spaniard could not have come at a more opportune moment ahead of his move to World Superbikes next season, with the factory supported Aruba.it Ducati team. A clear statement of intent to the established front runners of the series, watching on from their hotel rooms in Qatar. 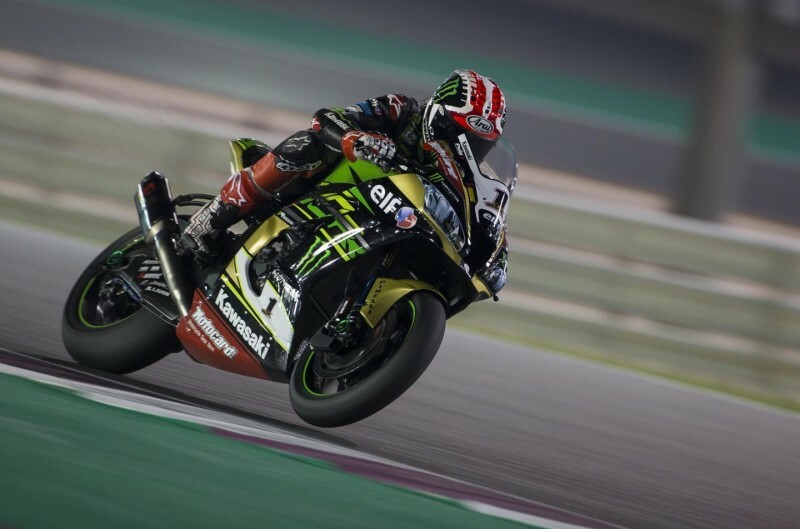 Kawasaki Racing Team secured their fourth 1-2 finish of the season, as Jonathan Rea led home Tom Sykes under the floodlights of Losail. Rea made the holeshot from the grid to take the lead at turn 1 and, as so often is the case, began pulling clear from the field almost immediately. Once with a manageable gap, the newly-crowned 4x world champion was able to dictate terms with his familiar metronomic rhythm. 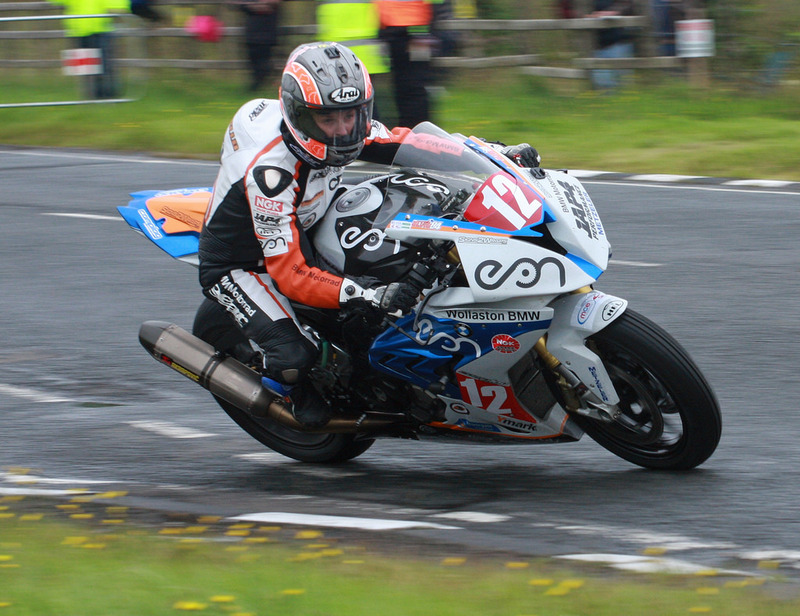 Today’s victory makes it 17 for the Northern Irishman this season – equalling the record set by Doug Polen, way back in 1991. Tom Sykes, in his final weekend for the Kawasaki Racing Team has not been prepared to go out on a whimper. The Yorkshireman secured pole position in qualifying earlier this afternoon, and also had his sights set on victory. Whilst his teammate ensured that this was impossible, Sykes secured second place – his first podium finish in five races (and his eighth of the season). Such is the vast length of the Losail International Circuit (5.38km) and the technical nature of the corners, within a couple of laps there were considerable time gaps already opening up between the various groups of riders. Nevertheless, there was action aplenty as riders diced and duelled with each other. Xavi Fores (Barni Racing Ducati) and Marco Melandri (Aruba.it Ducati) thrilling fight over fourth and fifth places. Lacking the cornering stability of the factory counterparts, Fores produced a strong defensive ride on his independent Ducati, utilising the raw horsepower to pull as much of an advantage down the 1km long main straight, and holding a defensive line through the sweeping corners. However disaster stuck for the Spaniard as technical issues forced him to drop back through the pack – eventually crawling home in P13. His loss was very much Melandri’s gain, as well as more than a fair amount of relief. Despite throwing everything at him, the factory Ducati man could not find a way past the independent Ducati rider. The Italian, who is seeking a new ride for next season, finished in P5 – collecting a very respectable 11 points for the factory backed outfit. Chaz Davies (Aruba.it Ducati) started P11 on the grid and immediately set about trying to carve his way up the order. Doubtless he was motivated on by the ongoing battle for second place in the championship with Dutch rider Michael Van der Mark (Pata Yamaha). Van der Mark eventually finished in P7, taking the bragging rights today and ensuring that this personal battle for honours goes down to the final race tomorrow. Both riders however were royally mugged in the closing stages by Loris Baz (Gulf Althea BMW). The Frenchman had done a remarkable job of preserving his tyres, and blasted past the duo who could offer no reply. Eugene Laverty (Milwaukee Aprilia) and Alex Lowes (Pata Yamaha) were locked in a thrilling battle for the final place on the podium. Both riders have looked strong throughout the weekend so far, with Laverty firmly putting himself in the proverbial shop window for a potential ride with Red Bull Honda next season. However it was Lowes who emerged the triumphant, forcing his R1 machine past the Aprilia on the final lap, holding on to third place through the final corners. Laverty will at least have the consolation of starting from pole position on tomorrow’s partially reversed grid. Jake Gagne (Red Bull Honda) secured his best finish of the season so far, with a hard fought ninth place. It has been a tough debut season for the young American, with his place under much scrutiny in recent weeks. A solid return of points today might go some way to securing his future in the class for 2019. Additionally, the result makes up for his teammate Leon Camier who crashed out with 10 laps of the race remaining. Rounding out the top ten, and being the first independent rider home, was Toprak Razgatlioglu (Puccetti Kawasaki). The Turkish star once again managed to extract the most amount of performance from his ZX-10R machine, fighting with the Hondas and Lorenzo Savadori (Milwaukee Aprilia) for much of the race. 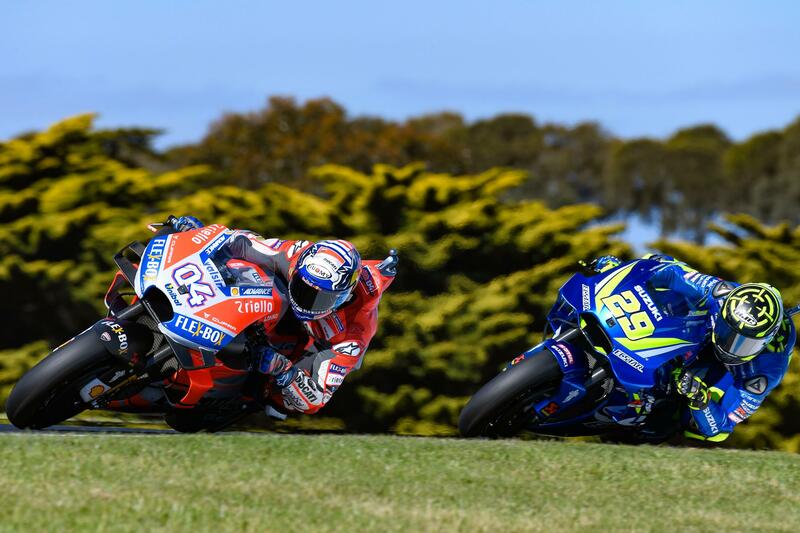 The 2018 MotoGP Championship rumbles on this weekend to the spectacular Phillip Island circuit, just off the mainland of Australia. Marc Marquez (Repsol Honda) is now freed of the pressure to secure the championship, having secured the title last time out at Motegi. As such, the 25-year old has licence to throw all caution to the wind in pursuit of yet another victory. It has been another remarkable season in the career of the Spanish rider, who has become the youngest 7x world champion (and youngest 5x premier class champion). 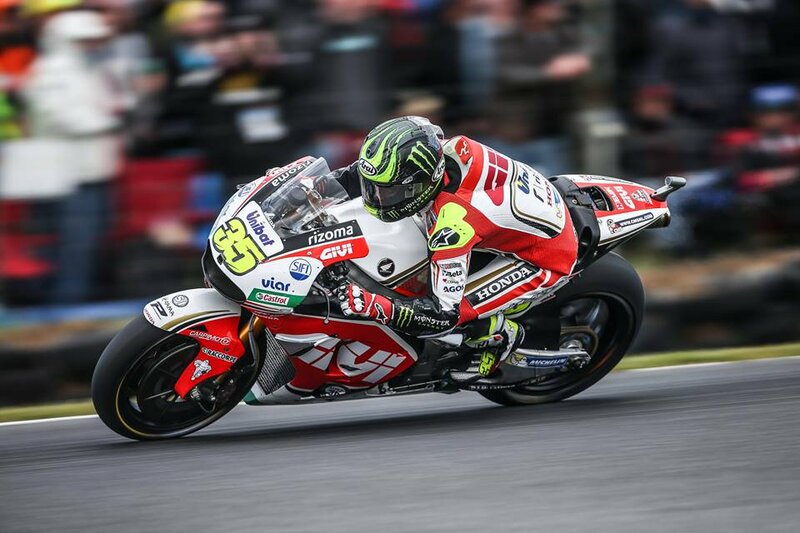 Cal Crutchlow (LCR Honda) is looking to make it a second victory in three years at the circuit. The British rider has been in excellent form this year, piloting the factory-supported satellite Honda to fifth place in the championship – including victory in Argentina and podium finishes at Misano and Japan. Crutchlow is under no illusions that victory (or even a podium finish) will come easy, despite his strong record at this track. In the Thursday press conference he was reported saying as many as ten different riders all have a realistic chance to take the spoils on Sunday. The characteristics of the Phillip Island circuit may benefit the teams which are traditionally more stable handed through long, sweeping corners. As such, both Team Ecstar Suzuki and Movistar Yamaha have potentially much to gain. The latter will particularly be determined to produce a strong result, having struggled throughout the season. 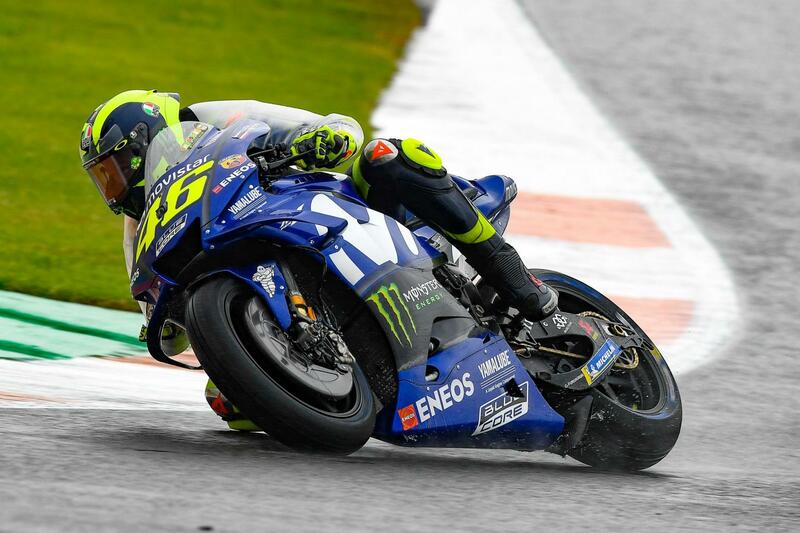 Valentino Rossi (Yamaha) and Alex Rins (Suzuki) respectively will be expected to lead the charges for their teams again this weekend. Rossi will be desperate to not only break Yamaha’s duck for the season, and end the team’s winless drought which stretches back to Assen, 2017. For Rins, there is now the feeling it is just a matter of time before the Catalan rider wins his first grand prix. The 22-year old has secured multiple podium finishes this season – his most recent being a hard fought 3rd place last time out in Japan. In addition, he has been a regular presence inside the top 5 since the summer break. Phillip Island presents him with perhaps the best chance of the season to claim victory, and become the first Suzuki rider to win a grand prix since Maverick Vinales at Silverstone in 2016. 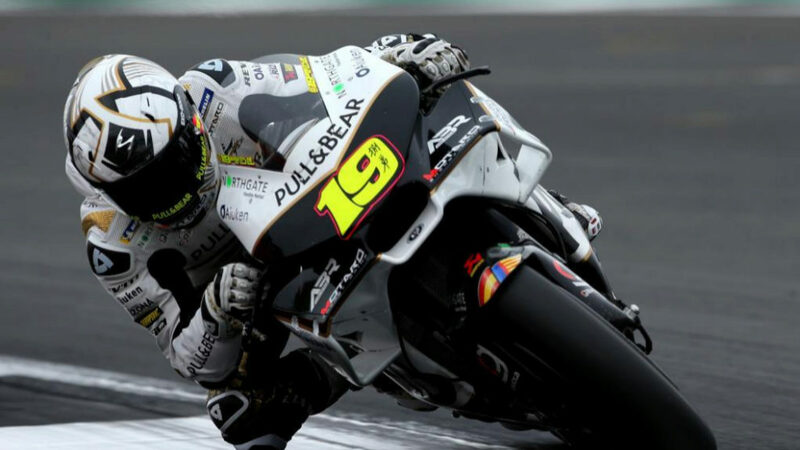 Alvaro Bautista makes his bow as a factory Ducati rider, this weekend. The former 125cc world champion is standing in for the injured Jorge Lorenzo at Phillip Island, and could potentially be doing the same next weekend in Malaysia. 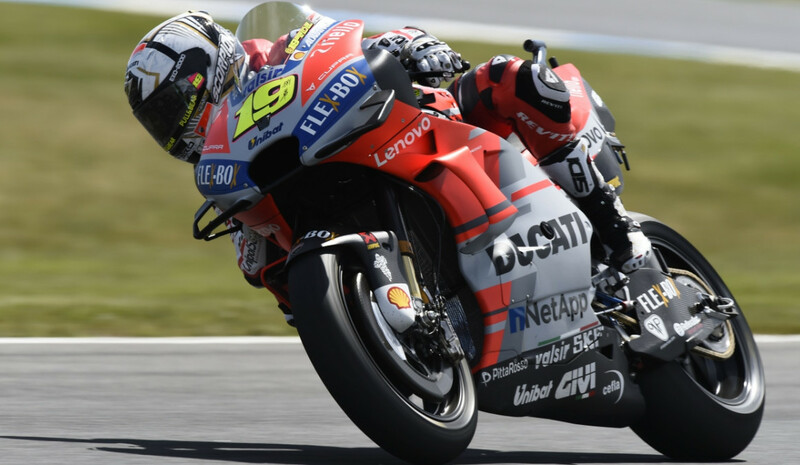 Bautista has comprehensively outperformed the GP16 and GP17 Desmosedici machines, regularly finishing races inside the top 10. The promotion to the factory team is also a very public ‘thank you’ from Ducati Corse, before he moves to World Superbikes in 2019 for the Aruba.it Ducati squad on the new V4 Panigale. Local rider Jack Miller (Alma Pramac Ducati) will be hoping to give the partisan home crowd something to shout about this weekend. The Australian has, by his own admission, struggled for consistency on the year-old GP17 Desmosedici machine. 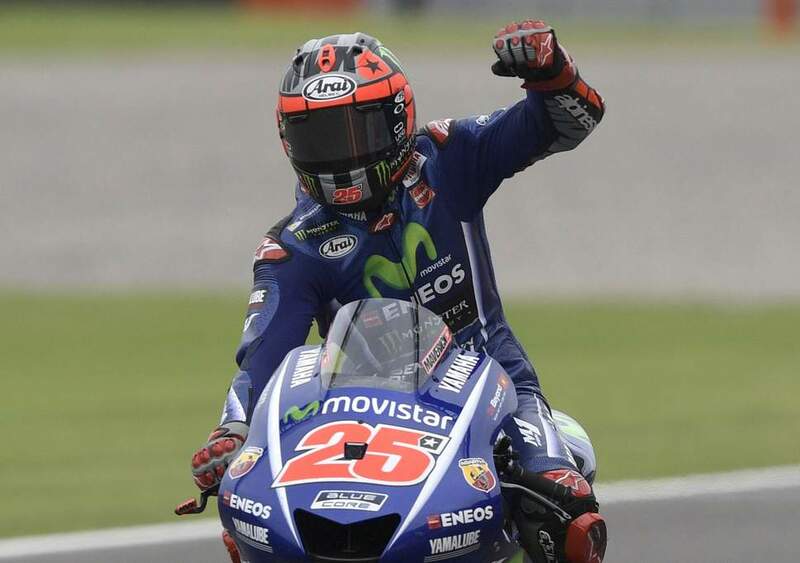 His best result this season was a fourth place finish at the Argentinian Grand Prix, a round which also saw him secure his maiden pole position. However, one need only cast their mind back to this time last year when, aboard the truly uncompetitive MarcVDS Honda, Miller took and held the lead of the race during the opening laps at the island. Now on a Ducati, there is every possibility of at least a podium finish should he keep the bike on the tarmac. Finally, MotoGP welcomes back another Australian rider this weekend. Mike Jones is stepping in at the Angel Nieto Team, whilst Bautista is at the factory Ducati team. Jones is a familiar name to the paddock, having ridden for Avintia Ducati back in 2016 and scoring a championship point. A former Australian Superbike Champion, another chance to perform in front of his home crowds is a self-confessed dream come true for the affable 24-year old from Queensland. 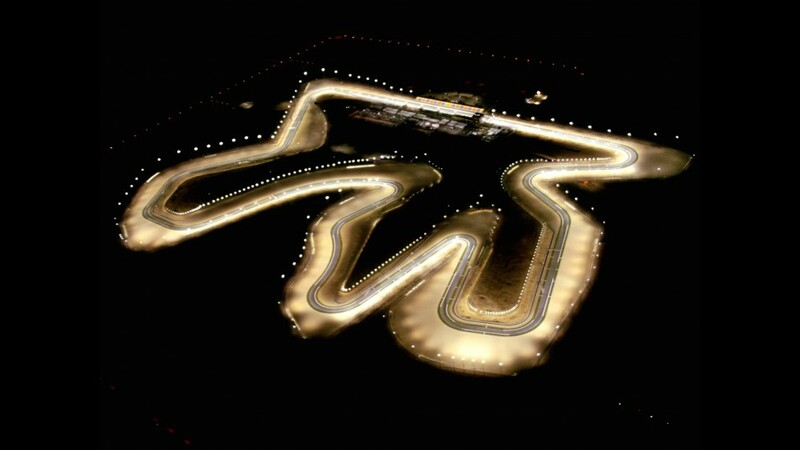 The curtain falls on the 2018 Superbike World Championship under the floodlights of the Losail Circuit. So here we are, after twelve rounds and seven months of globe trotting, the FIM Superbike World Championship reaches its final round this weekend at the Losail International Circuit, in Qatar. 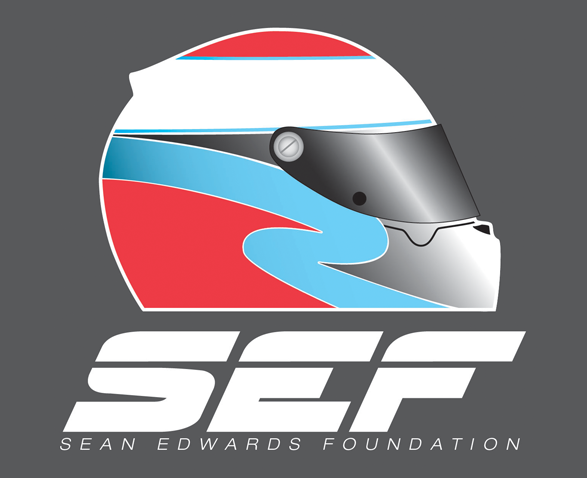 It is the final time that the current race format will be used. From 2019 onwards World Superbikes will have three races each weekend, comprised of two ‘regular’ length races and one shorter ‘sprint’. The precise details – such as scheduling and points allocation for the sprint are yet to be confirmed. The general understanding is that the regular length races will remain in their current slots (one each at the end of Saturday and Sunday), whilst the sprint will begin Sunday’s race program. As ever, all eyes will be on Kawasaki Racing Team’s Jonathan Rea. Having completed another victory double last time out in Argentina, the reigning world champion has his sites set on breaking the outright points record for a single season. It should be worth noting that Rea currently holds the record, having finished the 2017 campaign with a total of 556. To break his own record, Rea will need to score 37 points, which in simplest terms equates to a race win (25pts) and a fourth place finish (13pts). There is also another record which the Northern Irishman could break this year – the number of race victories in a season. Another double this weekend will see Rea catch and surpass the current record of 17 wins in a season – set by Doug Polen, on a Ducati, way back in 1991. Should he do that, then only the record for number of world championships would remain on his hit-list. Jonathan Rea is set to break all the records in WorldSBK history. Across the other side of the KRT garage, and there is a real sense of the end of an era. Tom Sykes will ride for the team for the final time this weekend, bringing down the curtain on an eight-year relationship with the Japanese marque. Whilst this season has been difficult for the Yorkshireman, both rider and team can look back fondly over a period of considerable success, including 34 wins and 47 pole positions. Not to mention that Sykes claimed the first championship crown for the team back in 2013. Both he and the team will be hoping to go out on a high, with one final victory together. The ‘end of an era’ feeling is magnified further in the Aruba.it Ducati garage. For the Ducati Corse supported team, they say farewell to both Marco Melandri and the V-twin engine Panigale R machine this weekend. Whilst there is an undeniable level of disappointment in the team, that the Panigale has failed to follow in the wheel tracks of its illustrious predecessors (every previous Ducati Superbike model has been ridden at least 1 championship title), it has been tempered by the testing results of the upcoming Panigale V4 machine – which is being introduced for 2019. Nevertheless, much is on the line this weekend for Ducati’s number one rider, Chaz Davies. The Welshman has battled injury ever since the mid-season break, having broken his collarbone in a crash during training. The highly physical demands of the somewhat volatile Ducati, have ensured the injury has not healed. Despite this considerable setback, Davies is still fighting for second place in the championship. With the Losail circuit traditionally playing to the Panigale’s straight line strength, the Qatar round presents Davies with his best chance of securing a brace of strong results for the first time since back at Imola. Michael Van der Mark (Pata Yamaha) is also gunning for second place in the championship and, sitting just 16 points behind Davies, knows it is a very realistic possibility. The Dutchman has had an outstanding campaign, and has fully lived up to his pre-season billing as the most exciting prospect of the series. Two race wins and a further eight podium finishes this season, have put the 25-year old in pole position to secure that second place overall. Will it be Chaz Davies (Left) or Michael Van der Mark (Right) who finishes as ‘Best of the Rest’ this season? This week also sees the final outing for the Shaun Muir Racing team, in their current guise as Milwaukee Aprilia. After weeks of speculation, the team will switch from running Aprilia machinery, to the newly updated BMW S1000RR. The deal reportedly also includes significant factory support from the German manufacturer. As a result of this, it is all change as far as the riders are concerned. Sykes moves across from KRT, whilst Markus Reiterberger moves up from the – now defunct – European Superstock 1000 class having won the championship aboard a BMW. The decision to hire two new riders for 2019 leaves the current incumbents (Eugene Laverty and Lorenzo Savadori) without a ride for next season. Both riders feel they should be at one of the factory supported teams. This is especially the case for Laverty who has taken two podium finishes and a pole position this season, on his way to scoring 145 points. At time of writing there is just one seat left available with such a team – Red Bull Honda. Expect the pair to throw the kitchen sink and more this weekend, as they desperately try to secure that seat for themselves. 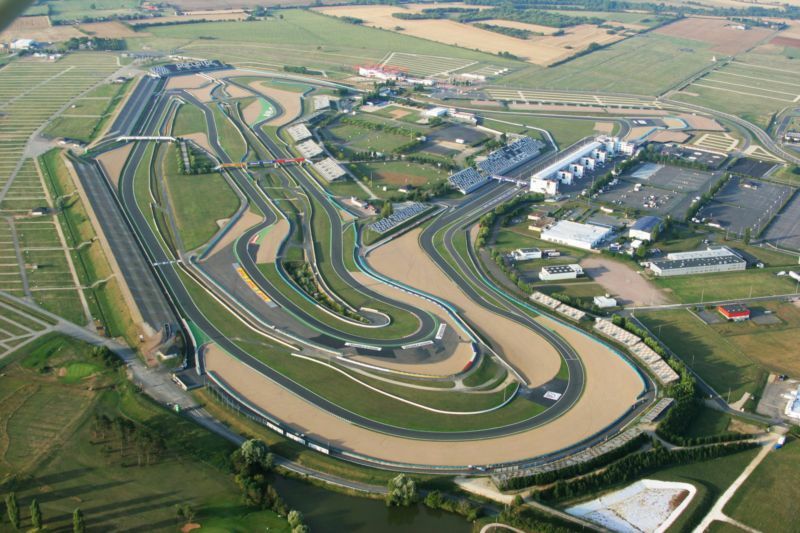 The 2018 FIM Superbike World Championship is set to be decided this weekend, whilst history could be made in the junior class, at the beautiful Magny-Cours circuit in France. Jonathan Rea (Kawasaki Racing Team) has his first clear cut opportunity to wrap up the Superbike World Championship this weekend. The 31-year old arrives at the French round with an imperious 116-point lead to closest rival Chaz Davies (Aruba.it Ducati). Provided Rea finishes the weekend with a lead of 100 points or more, he will be crowned champion with two rounds of the season to spare. For Davies, as the only other rider now with any mathematical chance of winning the championship, it simply “win or bust”. 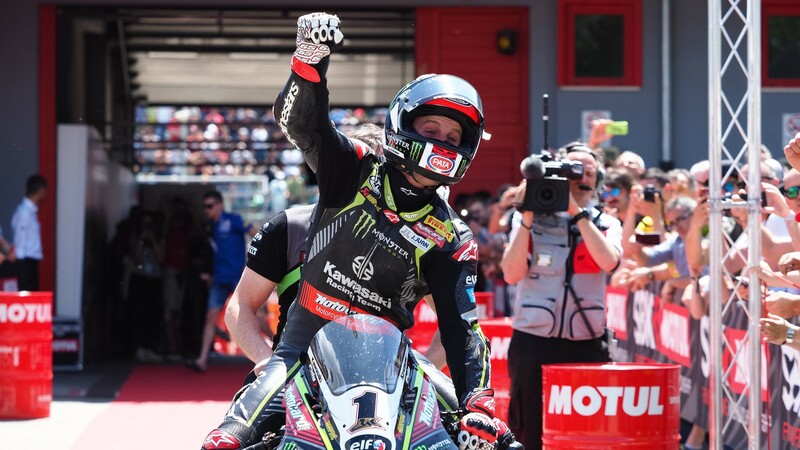 The Welshman produced a heroic ride in Race 2 last time out in Portimao – defying the pain caused by a badly broken collarbone, and holding off Rea in a thrilling scrap over the race lead for the first half of the race. Although still not 100% recovered, the fortnight’s break between Portimao and Magny-Cours will have considerably aided Davies’ recovery and fitness. 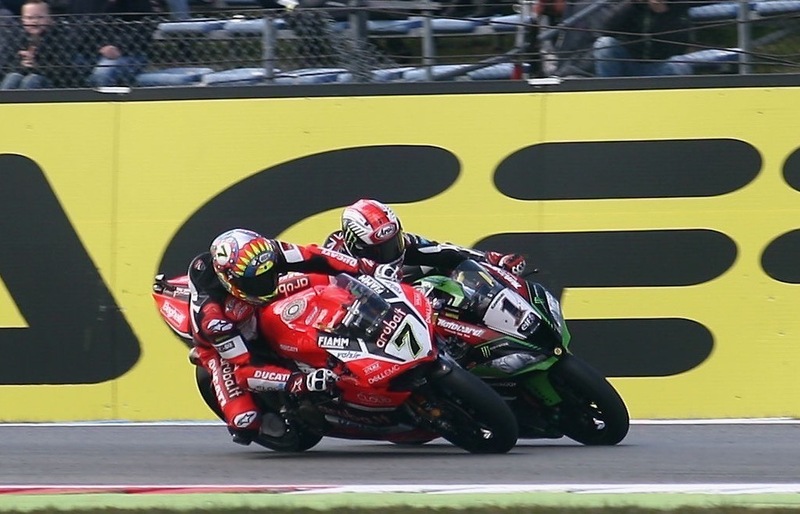 Chaz Davies (#7) produced one of the rides of the season at Portimao, defying his broken collarbone to hold off Jonathan Rea (#1) for as long as he did. With the championship now an exclusive affair between Davies and Rea, the remainder of the field are focused solely on the glory of race wins. 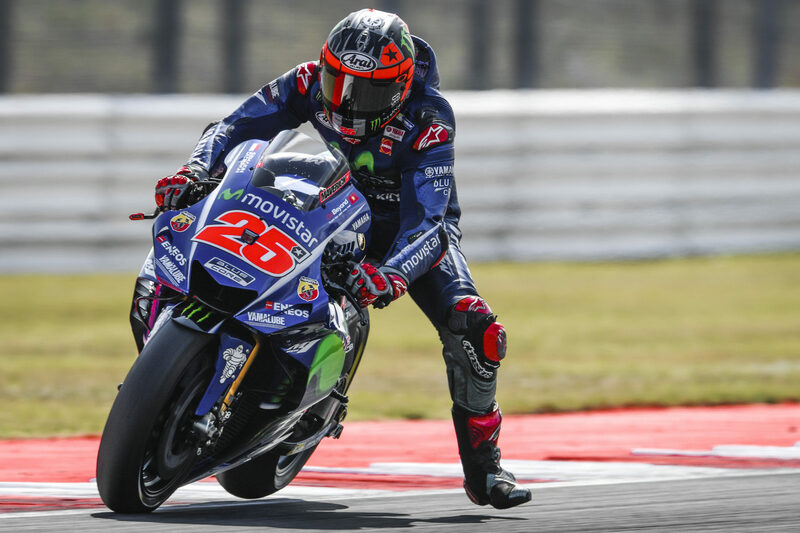 Alex Lowes and Michael Van der Mark (both Pata-Yamaha) have not shied away from this being their sole objective for the final three rounds of the season. Van der Mark arrives this weekend off the back of another impressive performance, claiming podium finishes in both races in Portugal. Now with 9 podiums to his name this season, the flying Dutchman looks the most likely of the pair to add to his brace of victories this season. There is also the matter of pride – and indeed team honour – at stake in the battle to secure a top 10 finish in the standings. Five riders – Toprak Razgatlioglu (Pucetti Kawasaki), Loris Baz (Gulf-Althea BMW), Lorenzo Savadori (Milwaukee Aprilia), Jordi Torres (MV Agusta) and Leon Camier (Red Bull Honda) – are all in this fight, and are covered by just 18 points. Savadori will be desperate to return a brace of strong results this weekend, having crashed out of Race 1 at Portimao when sat in a comfortable podium position. With his place in the Milwaukee team for next year reportedly uncertain at best, he perhaps has the most to gain by ensuring he finishes the season inside the top 10. Ana Carrasco (DS Junior Team Kawasaki) is on the verge of making history this weekend. 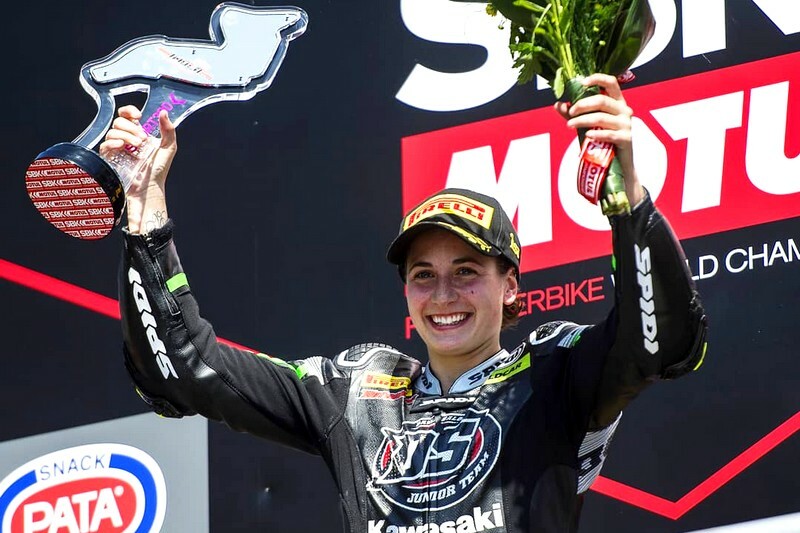 Should see clinch the Supersport 300 championship on Sunday, the 21-year old Spaniard will become the first woman to ever win a solo world-level series. With two wins this season, and 90 points to her name, Carrasco arrives at Magny-Cours in pole-position at the top of the standings. However, Carrasco will be pushed all the way to the chequered flag this weekend, as there are three other riders who can also win the ‘300 crown. Scott Deroue (Motoport Kawasaki), Mika Perez (Kawasaki Parkingo Team) and Luca Grunwald (Freudenberg KTM) are all within striking range of the title. Deroue is closest to catching Carrasco, with the young Dutchman sitting on 80 points. How fitting it should be that these two should be duking it out for the title – in 2014 they were teammates together in the FIM Moto3 world championship. A difficult campaign for them both saw them seek pastures new. Carrasco remained in Moto3 in 2015 the following year – but racing for a different team, whilst Deroue entered and won the British Motostar championship. 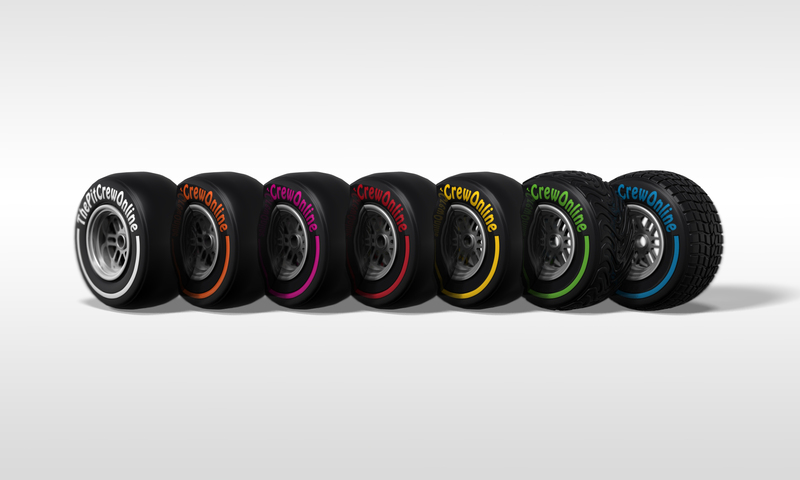 Although we cannot completely discount Perez and Grunwald, it is highly likely that – come Sunday night – it will be either Ana Carrasco or Scott Deroue who is crowned world champion. It has been announced today that Glenn Irwin will ride for the JG-Speedfit Kawasaki team for 2019. The Ulsterman will move from the BeWiser Ducati team following the conclusion of this season, and join up with the Bournemouth based outfit for their first winter test in November. The prospect of riding the new Kawasaki Ninja ZX10-RR next season was clearly too good an opportunity for Irwin to turn down, having described the new bike as “phenomenal”. 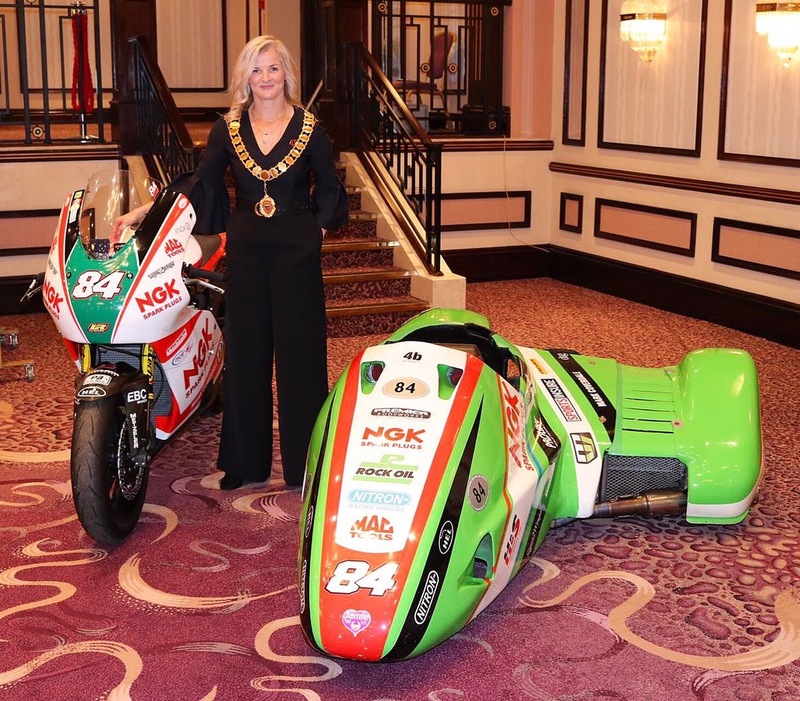 Irwin is no stranger to Kawasaki machinery, having ridden for the Gearlink team in the British Supersport championship before getting his big break in the Superbike class. Regarded by many riders, journalists and spectators alike, his move back to Kawasaki machinery now will present the 28-year old with his best chance to date of winning the British championship. 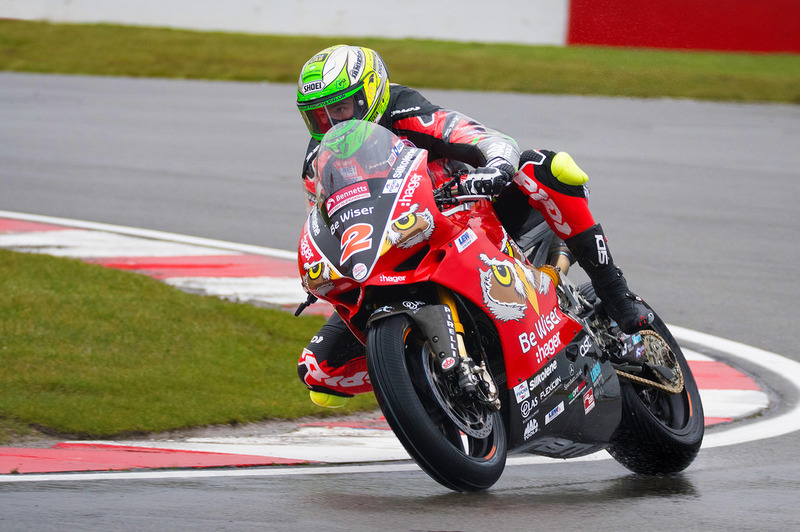 Irwin has had considerable success with his time on Ducati machinery – most notably three back-to-back superbike victories at the International North West 200, and numerous podium finishes in the British championship. Both he and the BeWiser Ducati team have made it clear that they intend to do all they can, in their final 5 races together, to take one last race victory together in BSB. Now that Irwin has become the first rider to put pen-to-paper for a 2019 ride, it is widely expected that a flurry of rider announcements will follow over the next few weeks.